Tons of traditional hidden object finds to keep puzzle fans happy. Story line is pretty predictable. In the land of Newterra, you must race against time to uncover the truth…before it’s too late. 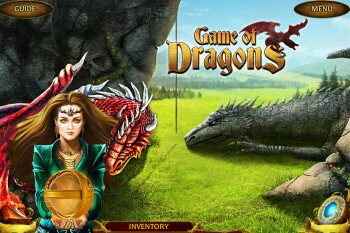 In Game of Dragons, you play as Glory Lind, a seemingly ordinary young woman who quickly finds out how far from normal she is. As the game begins, you meet a curious cab driver who tells you he has been searching for you for a long time. It seems the mysterious necklace – the only remnant you have of your long gone father – is the key to unlock the portal to an entirely different world. 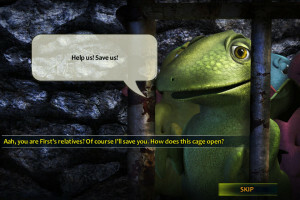 It is in this new world – Newterra – that the majority of the gameplay in Game of Dragons is carried out. It seems that you are actually a princess, and before you can take over your rightful place, you must prove yourself worthy by passing a test. Your cousin Simon, who has been assumed to take the throne before you showed up, escorts you to the Island of Dragons, telling you that you cannot return until you have completed the task. The island is very small, and you have little clue as to how you are to complete the task, other than the cryptic words of an old hermit who lives there. To uncover the dragon within you, you’ll need to follow the clues to figure out what has been happening in Newterra, who is behind it, and how to stop it. As you explore the island, you must search for usable items – and how to use them – in order to advance in your quest. Sometimes you’ll need to combine items to make them useful to you, and other times it’s just a matter of figuring out where and how something should be used. 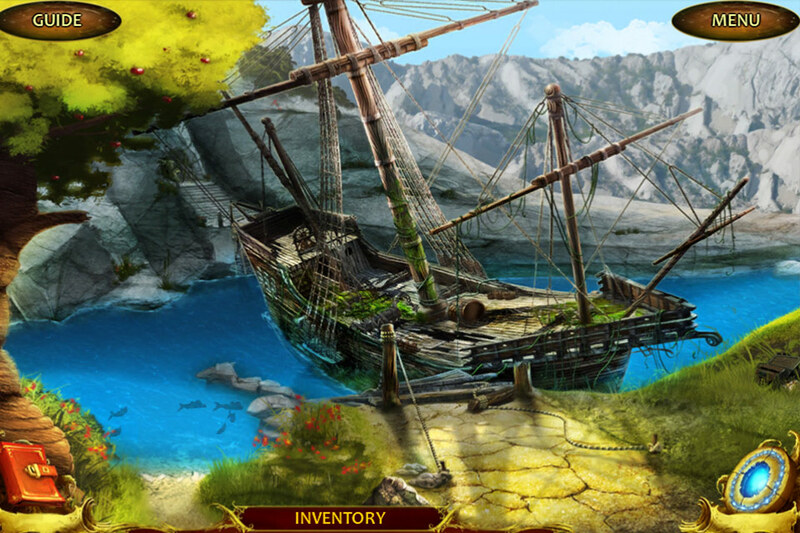 In addition to your wandering an scavenging, you will complete tons of traditional hidden object searches. 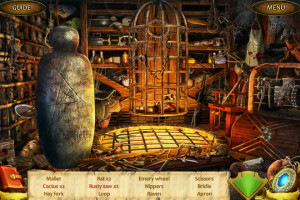 In these, you must search for a list of items amidst a jumble of objects on a fixed screen. For many old school hidden object adventure fans, they are the true draw to this type of game, so it’s nice to see so many of them included. In addition to searching for objects, you’ll also play through a number of mini games in your quest for the truth about Newterra – and your father. These are simple things like turning dials to create pictures, and they make sense within the context of the story. They are all completely skippable, which is a nice feature for those who don’t care for that type of thing. Game of Dragons also has a hint feature that can be used if you get stuck, which will generally give you a text hint as to what step to take next. Both of these features, combined with the option to set your skill level to casual, make it a great game for the younger gamers in your household as well. 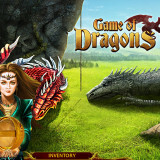 My children love hidden object finds, and Game of Dragons is one they can enjoy without frustration. 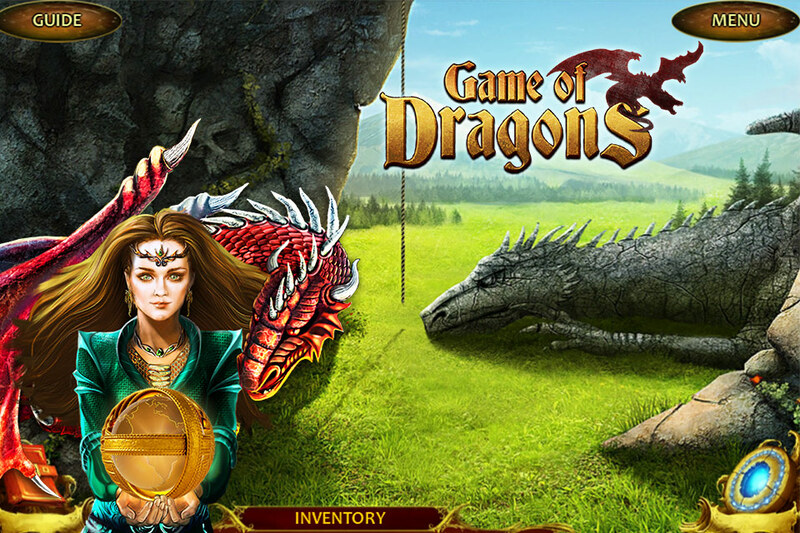 Though the story line in Game of Dragons isn’t what I’d call top notch, overall it’s a fun game that gives hours of hidden object finding enjoyment. 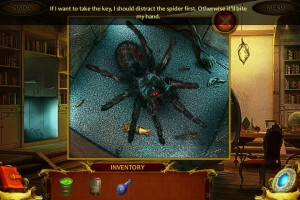 It’s completely appropriate for gamers of all ages, and the tons of hidden object jumbles included in the game make it a great choice for puzzle fans.